At about October 2015, FlixGifts get an email from Juneau Construction. The construction company is based in Atlanta, US. The coordinator manager of Juneau, ask FlixGifts to create 200 pcs unique and useful leather corporate gifts for their clients. With this requirements, we suggest Juneau to select our sturdy and stylish leather meeting portfolio for their customer. The portfolio is 100% hand cut, hand stitched, very nice in looking and useful for daily life. Want to see more of our personalized works? Click HERE to see. Juneau construction engage us to create leather meeting portfolio. For a good chunk of their company, just in time for a corporate present show. Mission accomplished. All of the folios were embossed with the company logo and name. and Juneau Construction is 100% satisfied with our work. For many brands that collaborate with Flixgifts, including NBA basketball team, engineering firms, and well-known celebrities, we’ve created custom leather portfolios and journals as Holiday gifts for their deserving back office teams. We always make a product they will last more than one year. See these pictures? These are leather gifts, mainly given to clients and employees on special occasions like Diwali, new year, company’s anniversary, etc. Majority of the companies opt for customized or personalized gifts, means they have their company name, logo & words embossed on the products that they’re gifting. It is mainly done for branding. 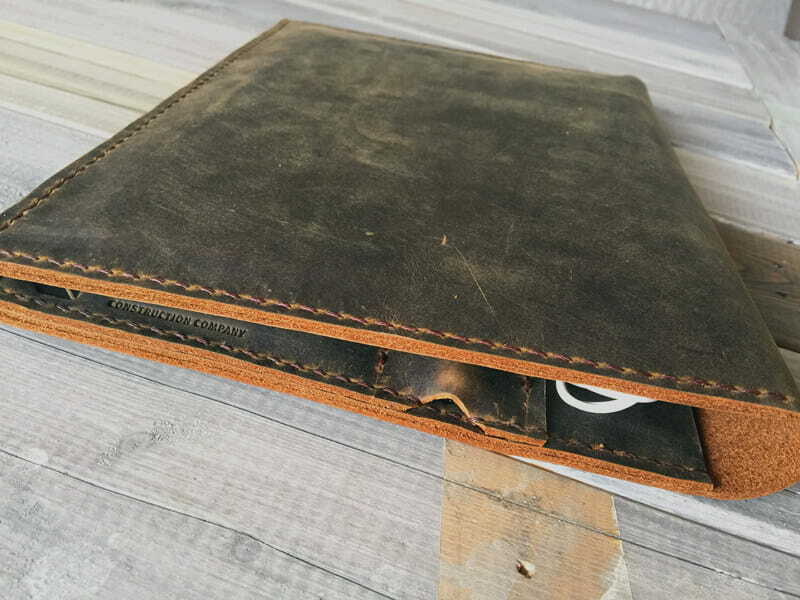 FlixGifts is good at making leather corporate gifts such as leather journals, Pad leather folios, leather watch cases, vintage photo albums….we hope to collaborate with you!